A multi colored restaurant menu board template with nice food images makes the menu look attractive. 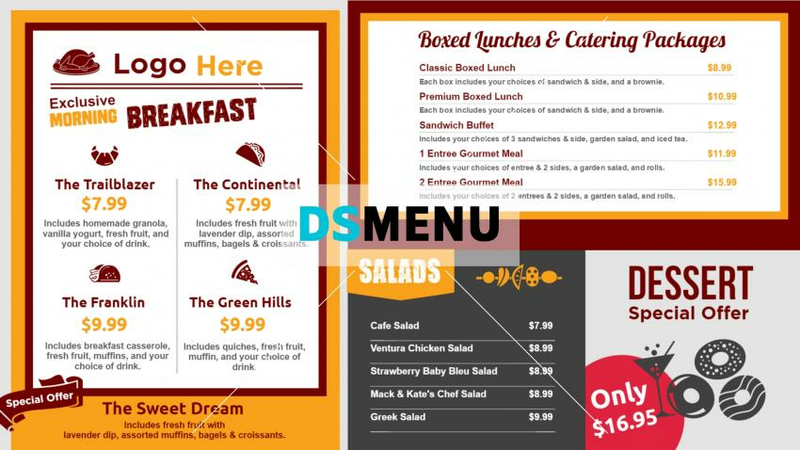 Using vibrant color will ensure that the menus are easily readable. The menu board is ready for edit and download.